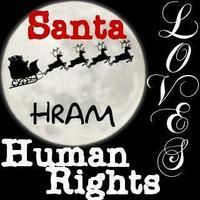 Santa Loves Human Rights. تصویر سے طرف کی Gail Shumway. Images in the Human Rights club tagged: human rights human rights awareness month hram icons santa claus night christmas moon.